Contains 1000gL of 2,3- dichlorovinyl dimethylphosphate (DDVP). 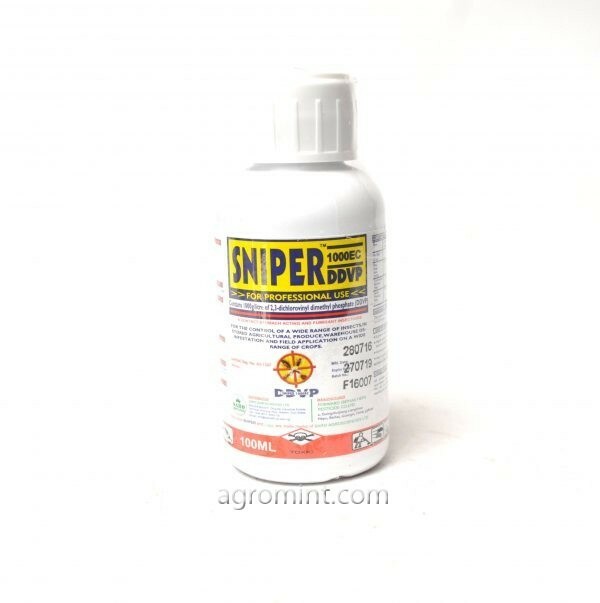 SNIPER is a highly effective insecticide/miticide that controls over 30 foliar and soil borne pests. SNIPER gives growers the flexibility and residual activity needed to combat insects in conventional or biotech systems.